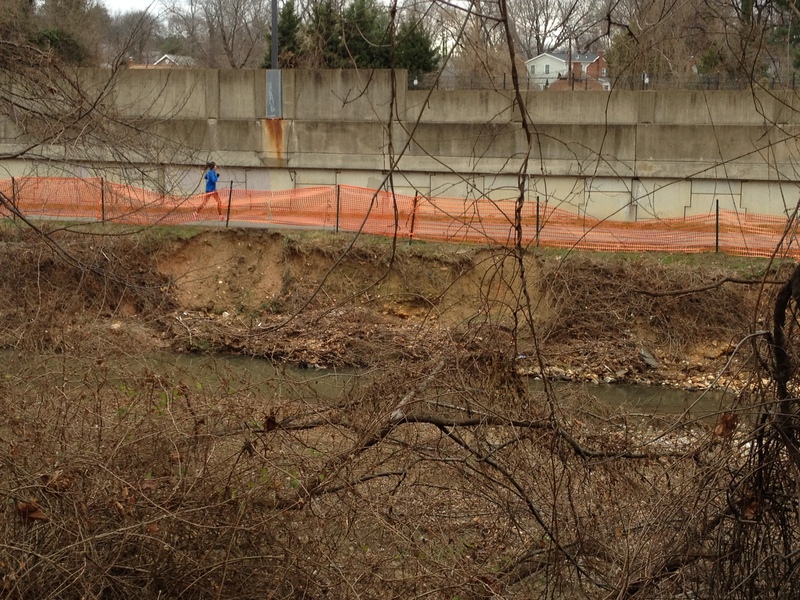 Four Mile Run Stream Repair Near N. Madison St.
Arlington County will be undertaking an emergency construction project along Four Mile Run starting on February 11, 2019. The project will add soil and stone to the north bank of Four Mile Run between Ohio Drive and Patrick Henry Drive to protect the Washington & Old Dominion trail. The project will stabilize the stream bank, limit future erosion and address the current safety concerns for users of the trail. 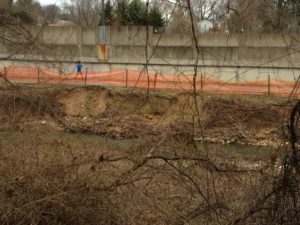 The W&OD and Four Mile Run trails in this area will be closed to users during construction. A detour has been established. Construction will begin around February 11, 2019 and will take approximately 4-8 weeks. The WO&D trail will be closed for approximately 4 weeks. A short trail detour will be in place (see web site link for detour map).